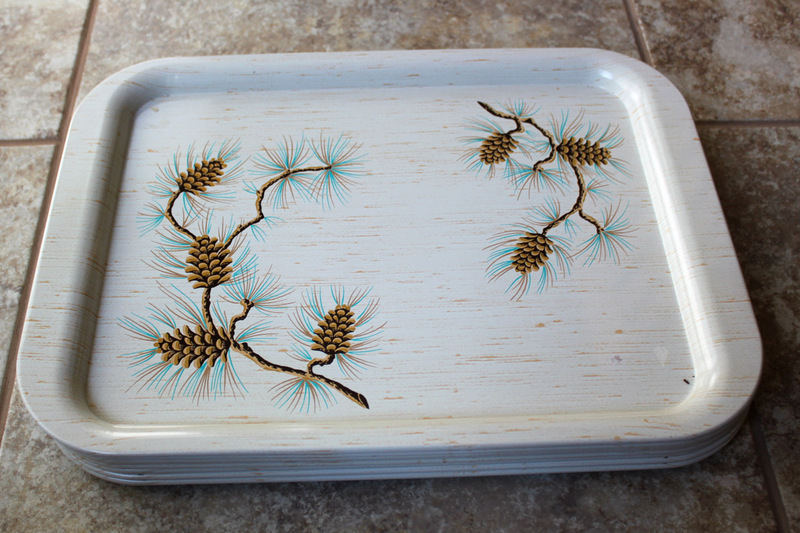 Vintage trays…they are one item I see often, but most of the time they are in bad shape. Since I was in Minneapolis this past week for Swimming Sectionals for my son, I decided to show you a few that I had already purchased. The rectangle ones I purchased at garage sales, but the round ones were found in boxes I won at auction. The first few are rectangle in shape. I always wonder what these trays were used for? 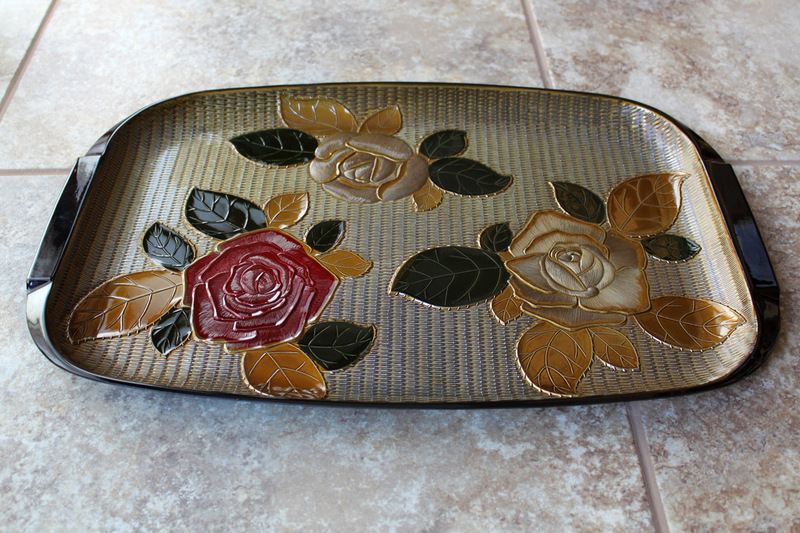 This gold-edged rose tray is in beautiful shape. To me it is for decorative purposes, but I don’t think trays were used that way years ago. This rose one is just as pretty. It feels like it is from the 1960s. Then there are the set of trays. I think back in the day all meals were eaten at the table, never in the living room, so when would these trays have been used? 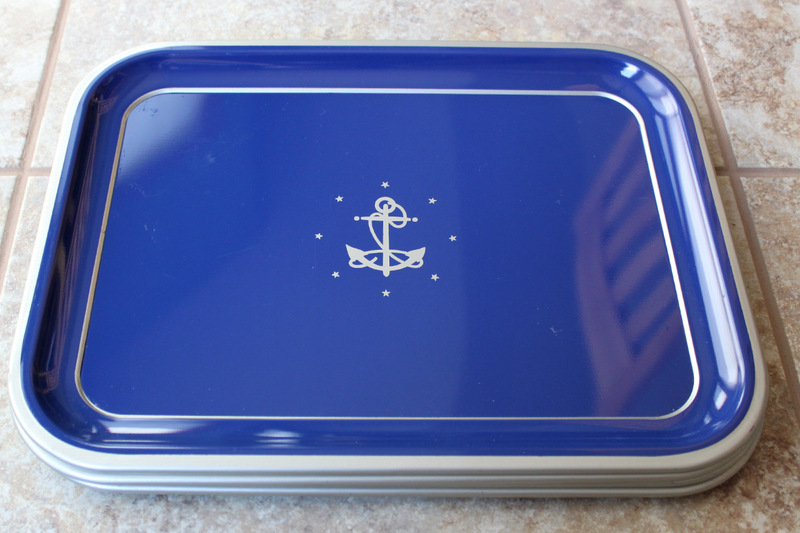 Here is another set of nautical trays. Excellent shape. I guess maybe none of these were ever used. Now these rounds trays are more collectible or decorative in nature. This one is Iolani Place. This rocking horse looks like it would work for Christmas, but really isn’t a holiday tray. This is my least favorite one. Just not into rocking horses. 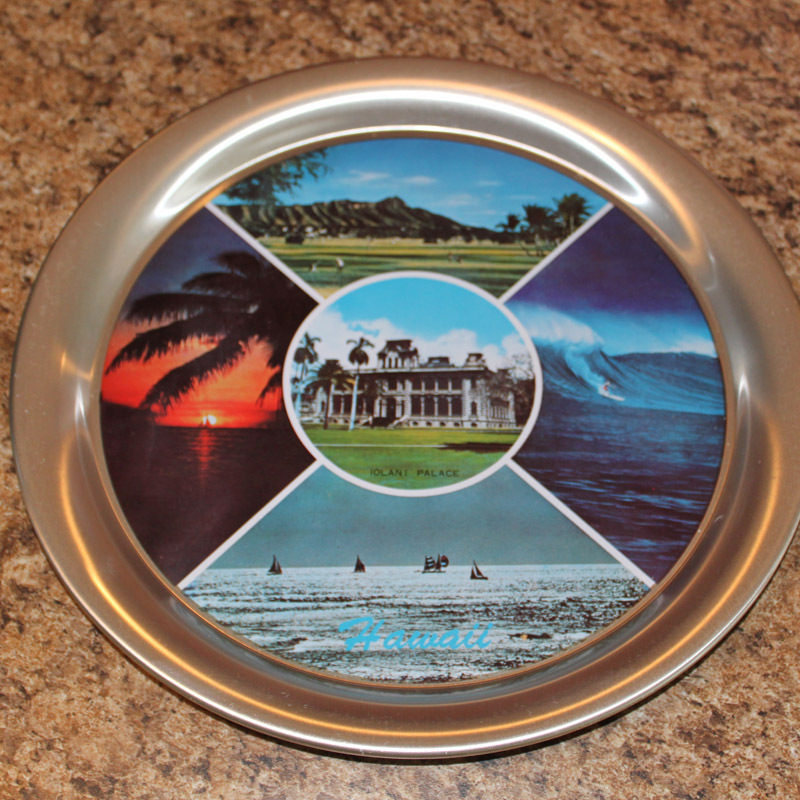 Then there are these collectible trays. 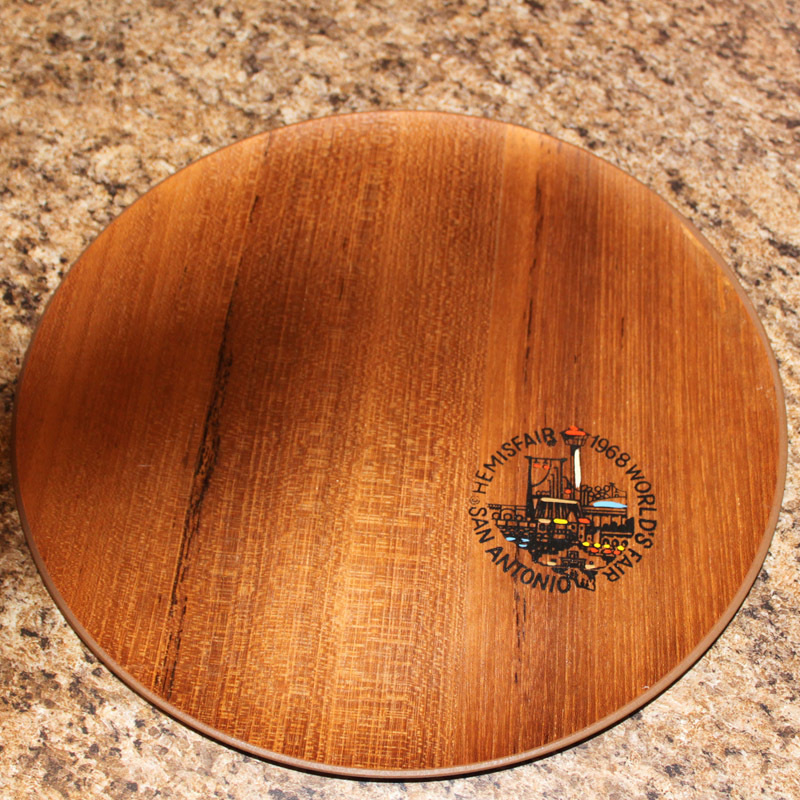 This wood one is from San Antonia World’s Fair in 1968. Or this one from Spokane, Washington World’s Fair of 1974. These trays got me thinking. 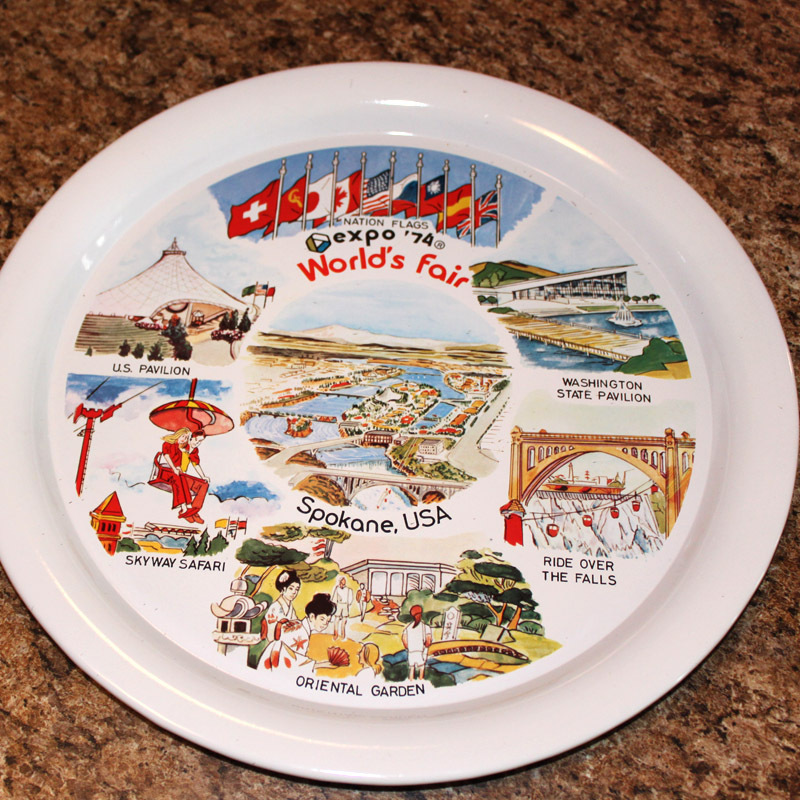 I attended one World’s Fair in Vancouver, Canada in 1986 right after I graduated from high school. But how often were they held? I thought ever four years like the Olympics. My research shows that they were held sporadically. Sometimes two in one year and some times several years missed. The first one held in the United States was in New York in 1829 and the last one was in New Orleans in 1984. There are none planned for the USA in the future. The next one being held will be in Milan, Italy in 2015. So there is your trivia for the day. Do you see and purchase trays? Do they get you remembering? 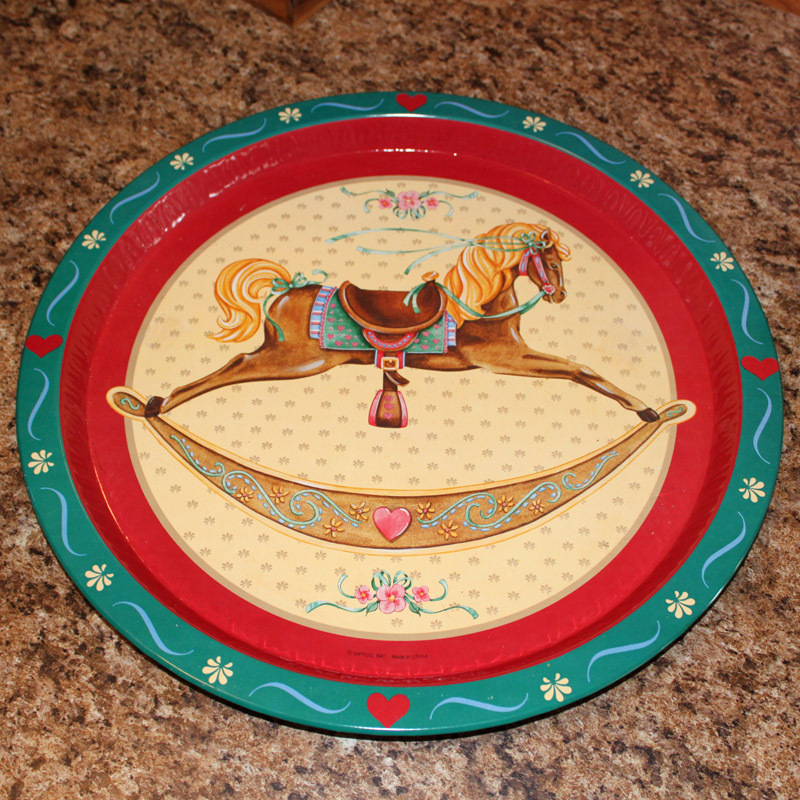 This entry was posted in Junkin' Pickin' Finds and tagged trays by Karen Grosz. Bookmark the permalink. I often see the souvenir trays, the other kind not so much. 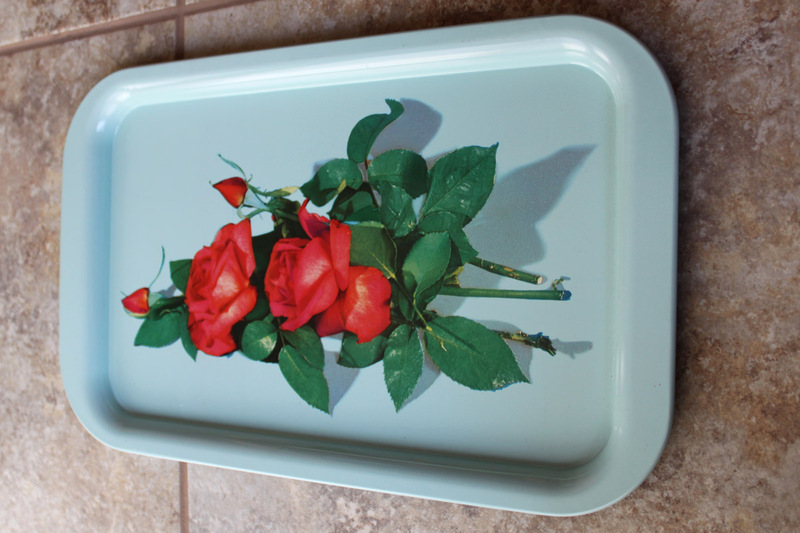 My mother always had a floral one, I remember her bringing me food on it when I was sick in bed! I think that is a good memory…not being sick, but being taken care of by your Mom. That is cool. We had tv trays that we used. please email me at ItsStillLifeNow@gmail.com and send me your zip code so I can send you more info and cost. Thanks.